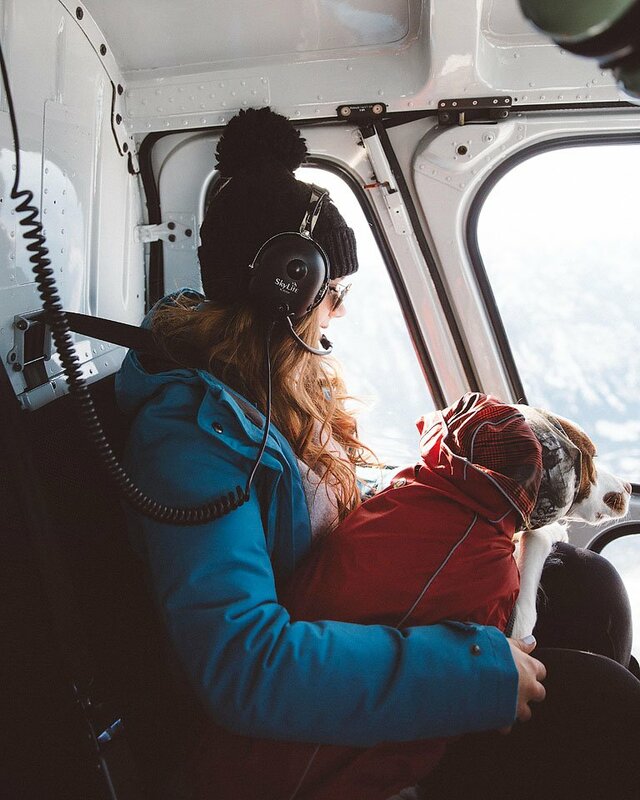 I seem to have become quite fond of taking a helicopter ride and had many opportunities over the past few years. 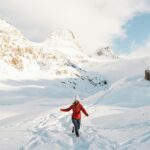 In today’s post I am sharing my favorites from all my recent travels and at home in British Columbia. 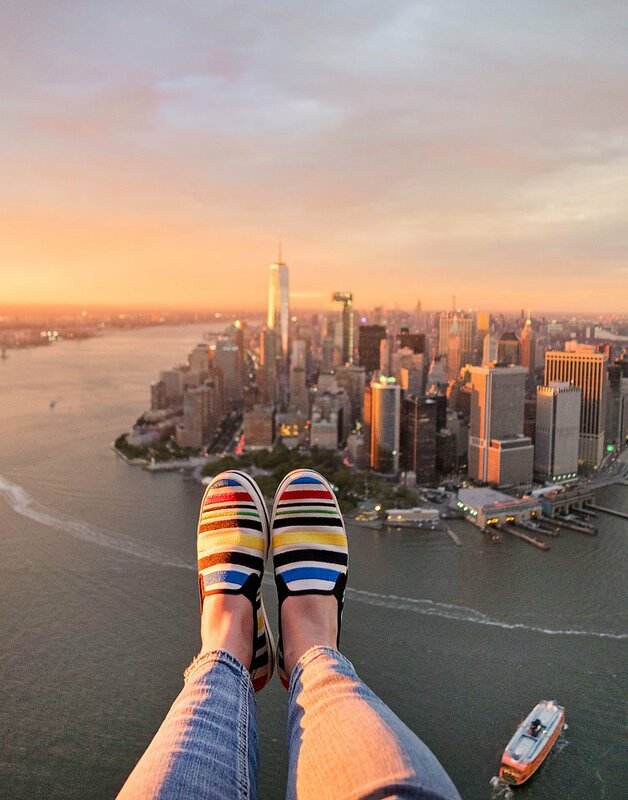 It is always a good day for a helicopter ride in NYC! 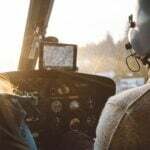 I have been two times…both with FlyNYON. 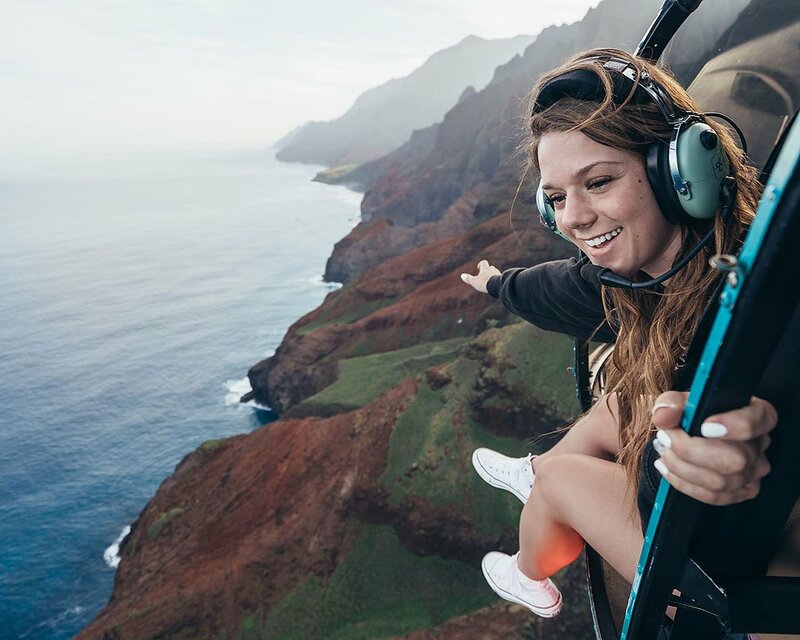 The first time (above) was in late spring and it was a doors off flight…which are always extra exciting. The second time was at New Years and it was supposed to be doors off, but because of the extremely cold weather they had to keep the doors on. Loved both flights and New York City is definitely a great location to see from the sky. This was my first ever doors off helicopter ride and it was pretty epic to get a photo with the Hollywood sign in the background. 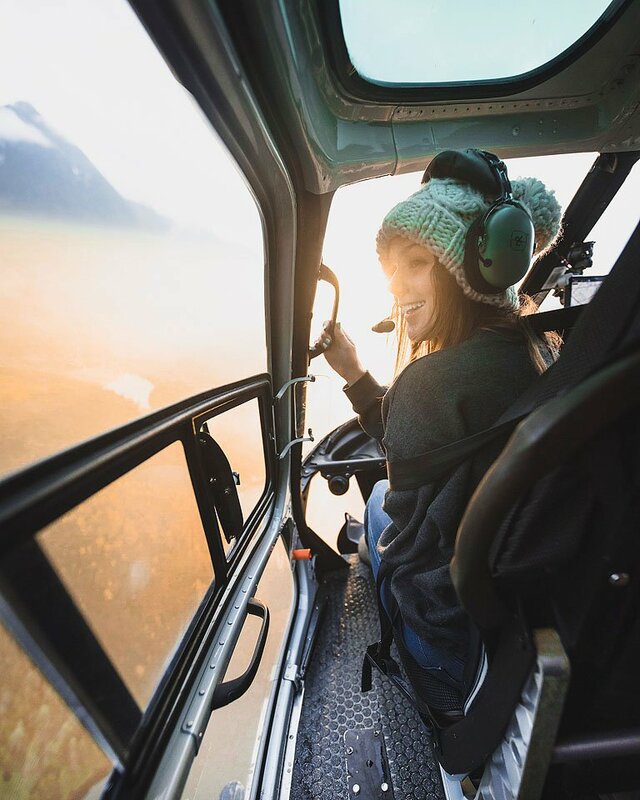 I definitely want to fly again with Celebrity Helicopters. 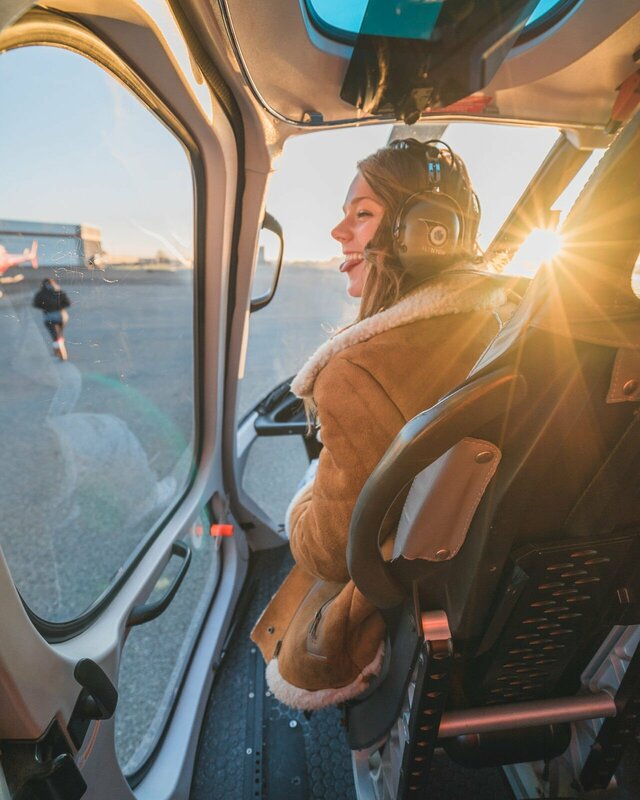 In Las Vegas you can do a doors off helicopter ride with FlyNYON. It is the same company that I flew with in NYC. You can do a day or night ride and I chose a sunset ride to capture the Vegas lights. It was EPIC!! 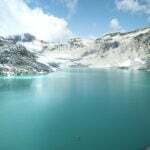 Whistler is one of my favourite places. 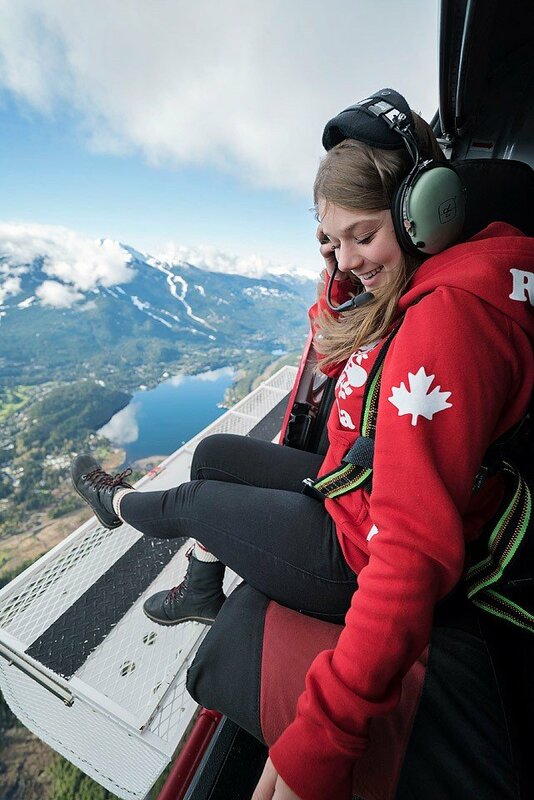 Seeing it on a doors off helicopter ride with Blackcomb Helicopters was totally unforgettable. It was May and while it was warm down on the ground…the ride was a really chilly one. 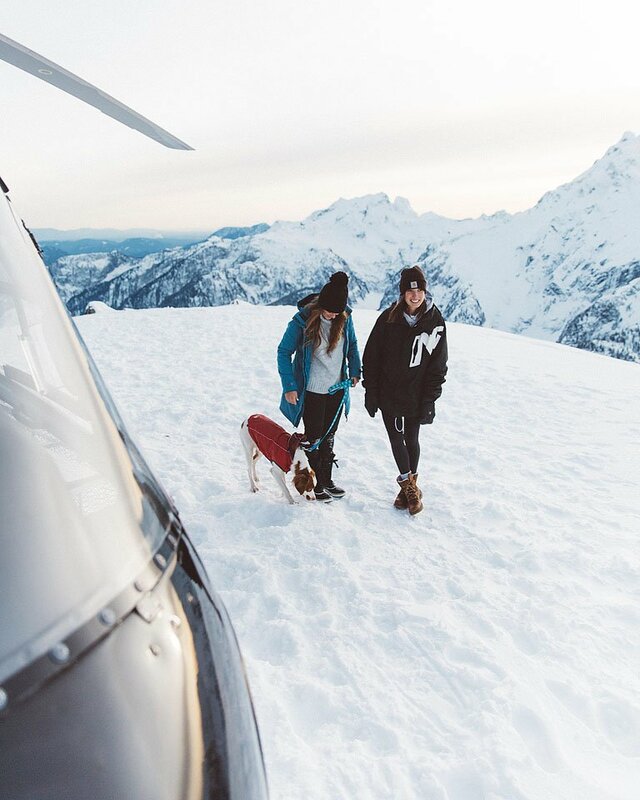 To be honest I have lost count on the number of times I have flown with Compass Heli Tours. They are my favourite! Once I even took Beau with me. 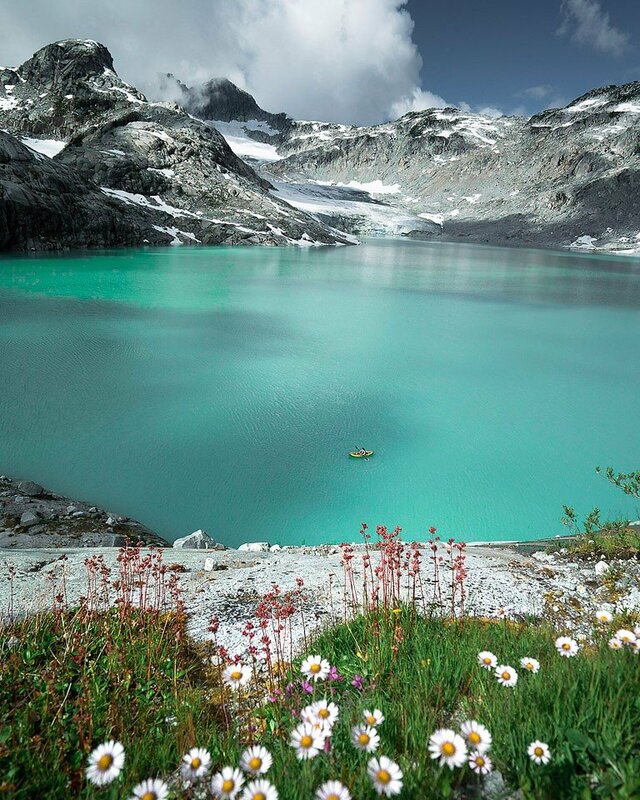 These rides are doors on but go to breathtaking locations in the British Columbia backcountry outside of Vancouver. If you are visiting I totally recommend you splurge on this experience. I bought baby sized ear protection for Beau to wear on the flight. It was cold but he wasn’t scared at all! It was a day I will never forget. 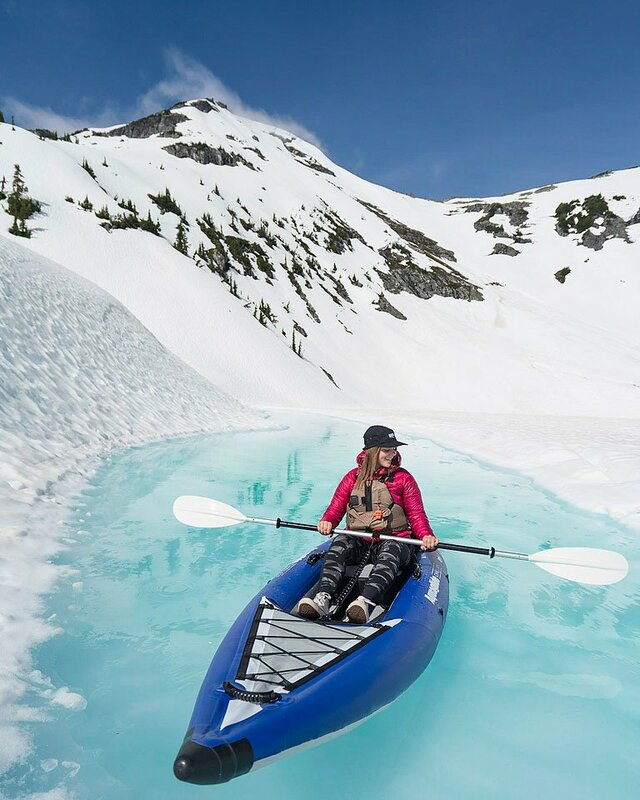 In June each year you can go glacier kayaking. It is totally UNREAL!!! 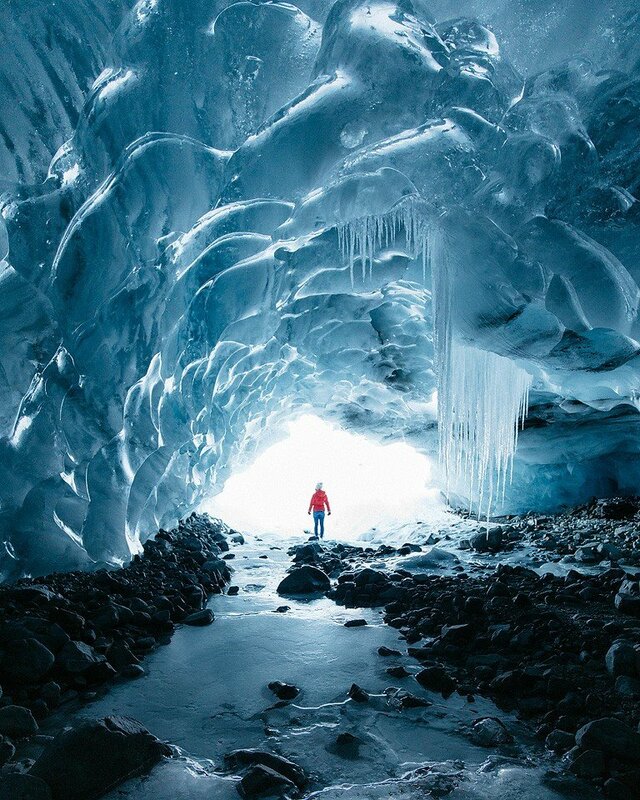 Ice caves are another option for tours and so beautiful! 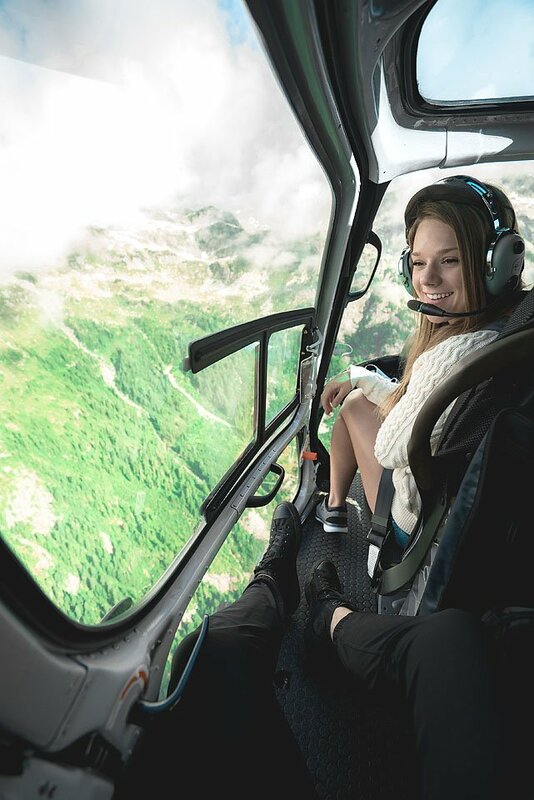 In August I went on a helicopter ride to kayak in a glacier lake. We even had picnic lunches provided. It was spring like conditions even thought it was the middle of summer. 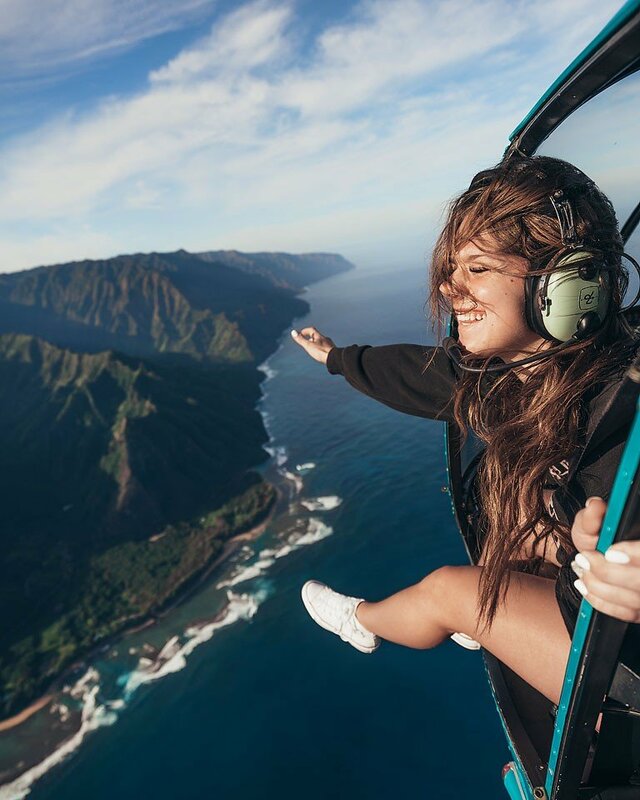 Look at that view! This flight was early June and we landed on the top of the mountain. 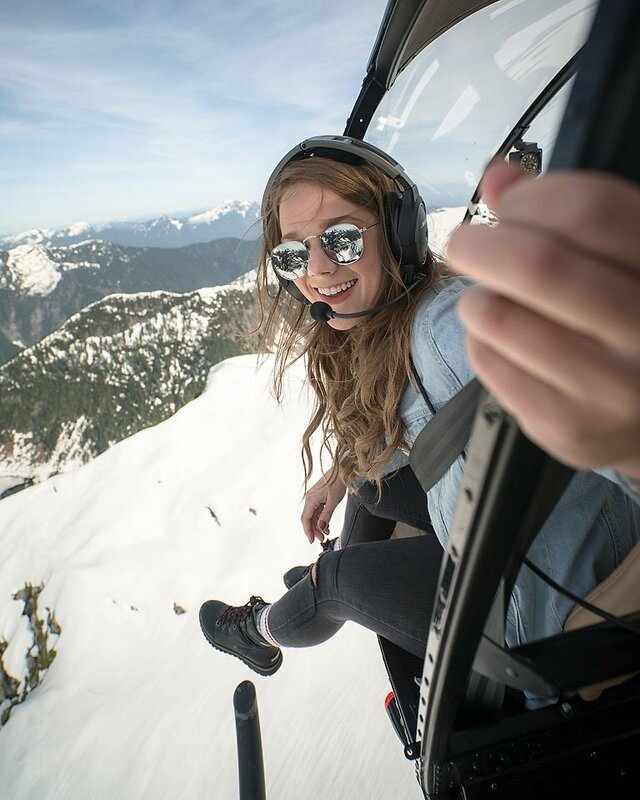 Sky Helicopters has great doors off flights in the Vancouver area. 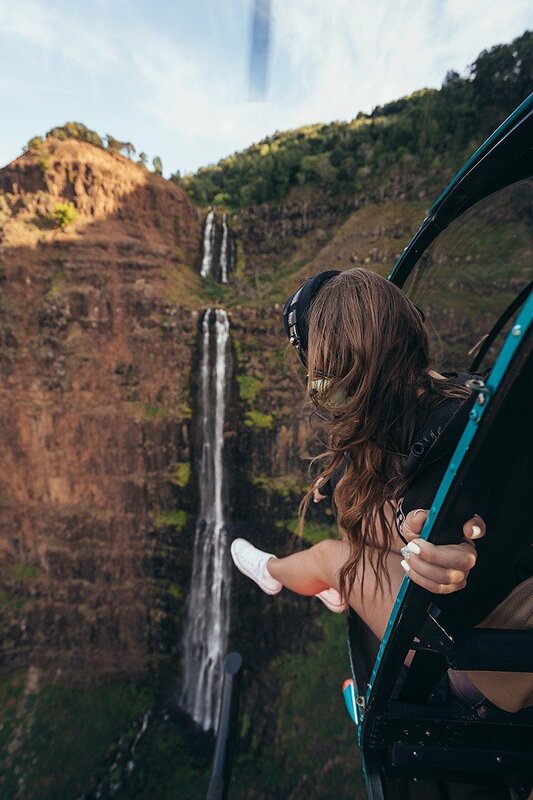 In January I spent some time in Kauai and went on a doors off flight with Mauna Loa Helicopter Tours. We saw so many waterfalls during that one hour flight. So many great photo opportunities!